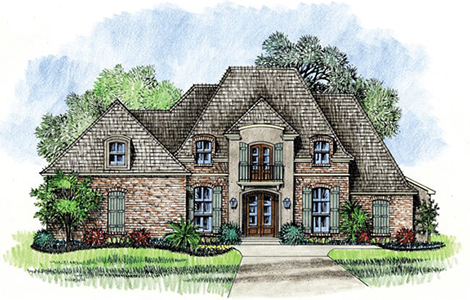 Lafayette is a stunning country french home with classic louisiana french country home plans details. Rod iron work on the top balcony with dual gas lanterns make the curb appeal of this house better then the picture. 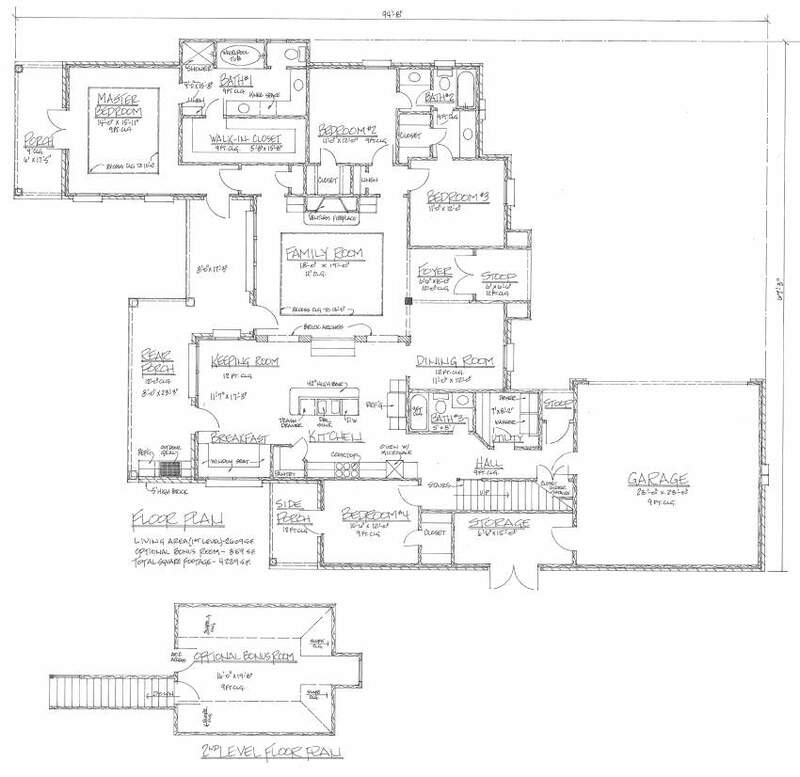 Once you step into this country french home plan you will be amazed by the amenities. Starting in the kitchen you will find a large island and plenty of prep space for the most ambitious chef. Next to the kitchen there is a large keeping room with a window seated breakfast area. Leaving the kitchen you can walk through one of two brick arches that lead to the large family room or enter the formal dining room. The Family room features a tall recessed ceiling with a fireplace balanced in the middle awaiting your large flat screen tv. The master suit is off of the family room along with two bedrooms. The 2 bedrooms share a jack and jill bath with walk in closets. The master suite gives you plenty of room with a set of french doors that open to a covered back porch for you to enjoy in private. In the master bath there is a large whirlpool tub and separate shower with two sinks and the entrance to the walk in closet. Bedroom four is located behind the kitchen also with private access to a porch, perfect for older children or guests. Upstairs is an optional Bonus Room perfectly suited for a media room. But really what makes this house perfect for entertainment is the main rear porch with tall ceilings and builtin outdoor grill with easy access fridge. This floor plan is sure to please everyone!